1. Wild West Day. Have a good old fashioned outdoor western show. Get a petting zoo, cowboys who juggle, and stuntmen. Take the traditional acts and have them add a western element. Think country music and hayrides. 2. Wet and Wild Fun. Get out the water toys and create a fun in the sun afternoon that will make everyone appreciate the summer heat. Get inflatable games that can get wet, have a slip and slide, water gun contests, and mist tents. 3. Family Activities Day. When you want to involve the families and create great morale, think activities that encourage group participation. Set up relay games, teams, and fantastic prizes for the most decorated family. 4. Summer Idol. 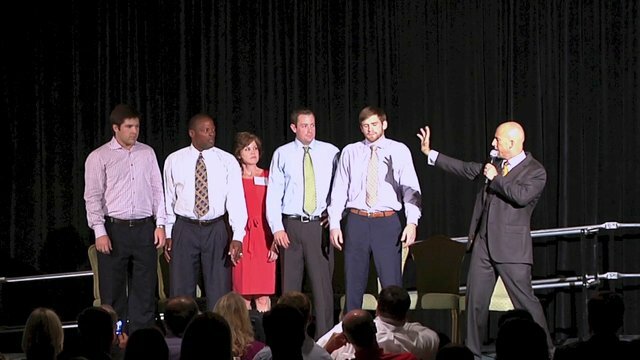 Create a talent show that highlights the individual talents of your audience. Hire a professional comedian or variety artist to emcee the show and keep the entertainment moving. Set up a stage, professional sound system, and lighting. Invite everyone to compete with their special talents. Think dancing, singing, karaoke, joke telling, and whatever other talents they may bring. Cruise ships started doing “Crew Talent” shows and passengers continue to rate this as one of best shows of the cruise! Hopefully these summer event ideas will stimulate some valuable thoughts for you and your attendees. Have a terrific summer!